One lucky buyer of the all-new Mazda6 who pre-orders their car before 31-12-2012 will get it for nothing. If they win the all-new Mazda6 Prize Draw competition, their new car (worth up to £30,405 with factory-fitted options), will be ‘free'. The prize draw will take place on 4 January 2013. 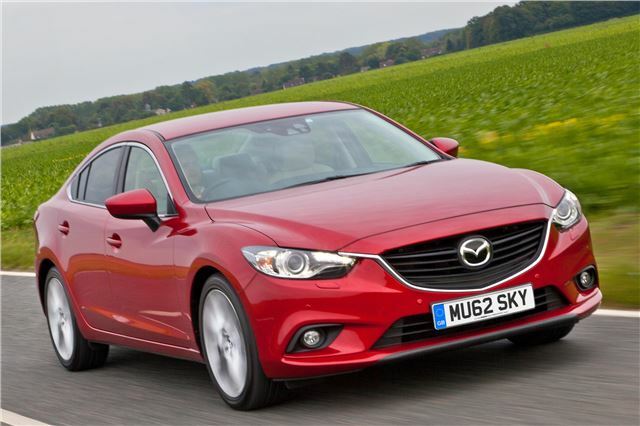 Mazda has announced that all UK retail customers* who pre-order the new Saloon or Tourer on or before 31 December 2012, will be entered into a prize draw for the chance to win their new car free of charge. The draw prize includes any factory-fitted options specified by the customer, delivery, 12 months road tax, licence plates, three-year warranty and breakdown cover, but excludes dealer-fitted accessories. Visitors to Mazda's 140 dealers across the UK will find that the Pre-Order System for this exciting Mazda6 newcomer is now ‘live' and there is a choice of 36 saloon and tourer models priced from £19,595 to £28,045 on-the-road (OTR) to order for delivery from 25 January 2013. All retail customers ordering an all-new Mazda6 which is registered before 31 March 2013 may benefit from competitive low-rate finance, a deposit contribution and a loyalty saving for existing Mazda owners. Customers buying their all-new Mazda6 on PCP or Conditional Sale will be offered finance at Representative 5.9% APR (over a 24, 30, 36 or 42-month period with no deposit required) and a £500 Mazda deposit contribution with PCP finance. All current Mazda owners will also be entitled to a further £250 ‘loyalty saving' off the OTR price and no part-exchange is required. All-new Mazda6 is Mazda's first vehicle to feature the company's unique brake energy regeneration system, i-ELOOP. Together with SKYACTIV powertrains, the SKYACTIV-Chassis and SKYACTIV-Body make the all-new Mazda6 an engaging and rewarding drive, delivering refined, linear handling, segment-leading safety and a uniquely efficient and lightweight design. Buyers of the new Mazda6 have a choice of four high-efficiency SKYACTIV powertrains with six-speed automatic or manual transmissions. The 2.0-litre SKYACTIV-G petrol engines produce 145ps and 165ps, while the 2.2-litre SKYACTIV-D diesel engines generate 150ps and 175ps with 380Nm and 420Nm of torque (respectively) at 2,000rpm. Inside new Mazda6, form meets function in a highly ergonomic cockpit designed to make driving as enjoyably and engaging as possible. Everything is exactly where it should be: even the repositioned A-pillars, moved rearwards relative to the current model, contribute to a stress-free experience by widening the driver's field of view. Passengers will appreciate the relaxing atmosphere in the cabin, which features segment-leading space, accompanied by the latest infotainment technology, including an 11-speaker Bose® surround sound audio system in Sport models. Also, with fuel economy as high as 67.3mpg and emissions as low as 108g/km - without any sacrifice in performance - the all-new Mazda6 saloon and tourer are destined to become the new class leaders next year when they go on sale from 25 January. Retail sales only, subject to availability at participating dealers only.~5.9% APR finance is available on all new Mazda models. Details correct at time of going to print. Not available in conjunction with any other offer unless specified.Finance subject to status. Terms and conditions apply. Applicants must be 18 or over. Guarantees/Indemnities may be required. Mazda Financial Services RH1 1SR.